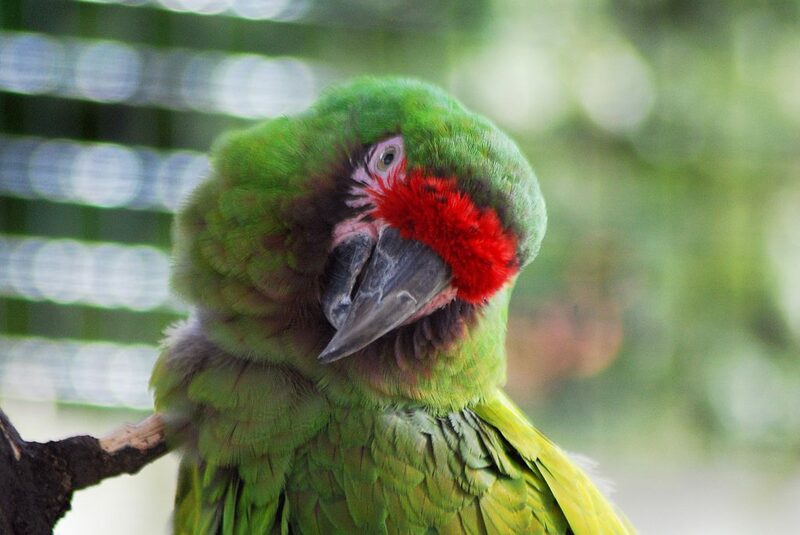 Our military macaw is confiscated wildlife. He was hatched in the wild and smuggled into the United States for sale into the pet trade. He was discovered in the hubcap of a car with several other birds! He was unable to be released into his native range; he lives safely at the Zoo to educate about wildlife trafficking. 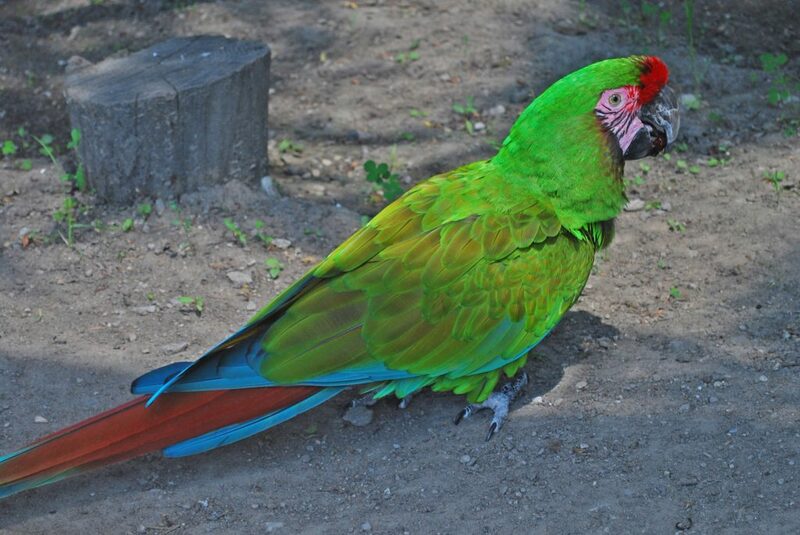 Military macaw feathers contain a specific pigment, called Psittacin, which produces their striking colors. Their colors make good camouflage because they look like brightly colored fruit. They can live up to 40 or more years!